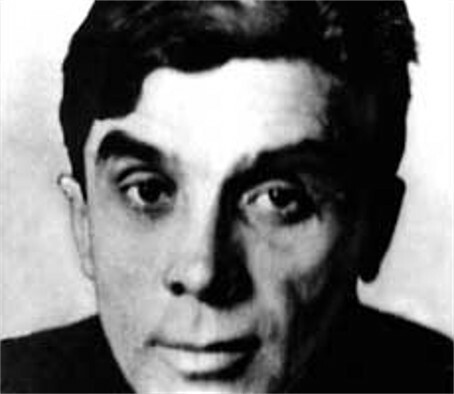 Khvylovy, Mykola [Хвильовий, Микола; Xvyl’ovyj], b 14 December 1893 in Trostianets, Kharkiv gubernia, d 13 May 1933 in Kharkiv. Prominent Ukrainian writer and publicist of the Ukrainian cultural renaissance of the 1920s. Born Mykola Fitilev, he graduated in 1916 as an extension student from the Bohodukhiv Gymnasium. In 1919 he joined the Communist Party (Bolshevik) of Ukraine. 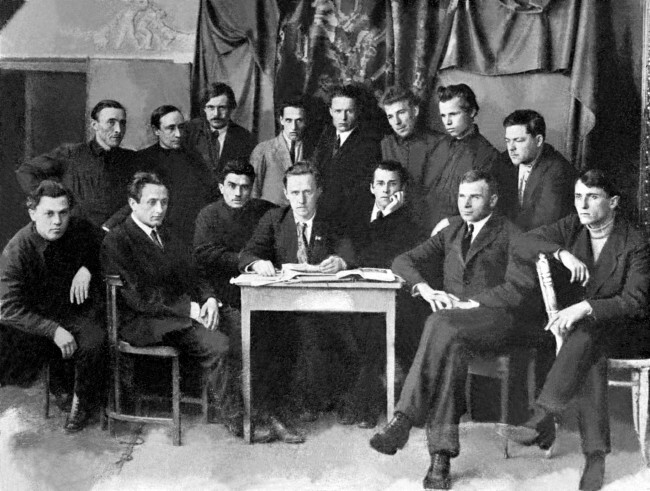 In 1921 he moved to Kharkiv, where he worked as a millwright and also joined a body of writers grouped around Vasyl Blakytny and the newspaper Visti VUTsVK. 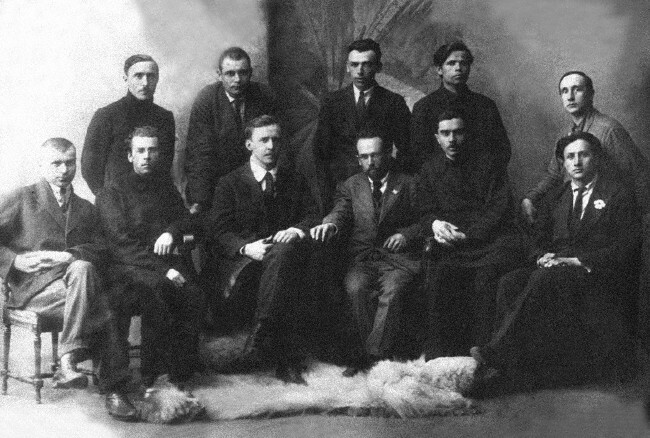 In 1921, with Volodymyr Sosiura and Maik Yohansen, he signed the literary manifesto ‘Our Universal to the Ukrainian Workers and Ukrainian Proletarian Artists’ (published in the collection Zhovten’). In the same year his poem ‘V elektrychnyi vik’ (In the Electrical Age) and his poetry collection Molodist’ (Youth) were published. After his second collection, Dosvitni symfoniï (Twilight Symphonies, 1922), appeared, he switched to writing prose. His first short story, ‘Zhyttia’(Life), was published in 1922. 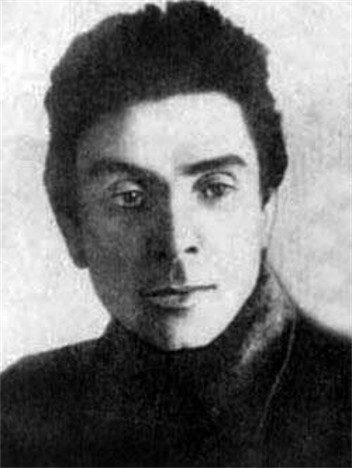 His first collections of short stories— Syni etiudy (Blue Etudes, 1923) and Osin’ (Autumn, 1924)—immediately won him the acclaim of various critics including Serhii Yefremov, Oleksander Biletsky, the party critic Volodymyr Koriak, and the émigrés Yevhen Malaniuk and Dmytro Dontsov. 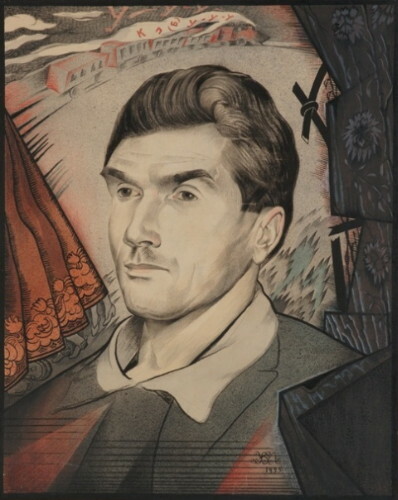 The ornamental, impressionistic style of these and later lyrical-romantic stories—which exhibited the influence of expressionism (including its inherent naturalism)—became paradigmatic for most young Soviet Ukrainian writers then beginning their careers. Khvylovy experimented boldly in his prose, introducing into the narrative diaries, dialogues with the reader, speculations about the subsequent unfolding of the plot, philosophical musings about the nature of art, and other asides. In his brief period of creativity (less than five years) he masterfully depicted the revolution in Ukraine and the first hints of its degeneration, using a rich gallery of characters, most of them members of the intelligentsia. The characters' initial infatuation with the revolution ends in disillusionment, and their expected rebirth of Ukraine reifies into a new embodiment of the ‘snout of the indomitable boor’ in such stories as ‘Redaktor Kark’ (Editor Kark), ‘Na hlukhim shliakhu’ (On the Overgrown Path), and ‘Synii lystopad’ (Blue November). A later cycle of stories consists of merciless satires of insipid philistines and the transformation of former revolutionaries into bureaucrats and parasites. 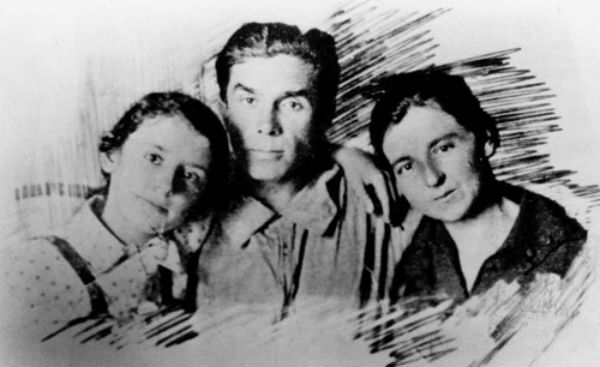 From 1924 on, Khvylovy's stories depict life much more psychodramatically and tragically, as in the novella ‘Ia’ (I) and ‘Povist' pro sanatoriinu zonu’ (Tale of the Sanatorium Zone). 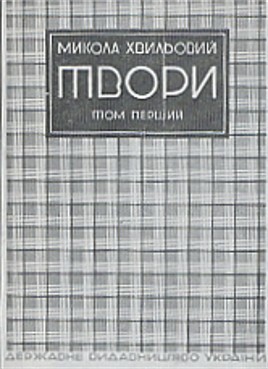 The third series of pamphlets, ‘Apolohety pysaryzmu’ (The Apologists of Scribbling), was published in Kul’tura i pobut in February–March 1926, but not separately. The idea of a completely independent development for Ukrainian literature, oriented ‘at least not on Russian [literature],’ was developed further, and the idea of Ukraine's right to sovereignty was formulated as follows: ‘Is Russia an independent state? Yes, it's independent! Well then, we too are independent.’ His last, and probably most radical, polemical work, ‘Ukraïna chy Malorosiia?’ (Ukraine or Little Russia? ), was suppressed by the authorities; only a few quotations from it that appeared in the official critiques—Andrii Khvylia's Vid ukhylu v prirvu ... (From Deviation to the Precipice ...) and Yevhen Hirchak's Na dva fronta v bor’be s natsionalizmom (On Two Fronts in the Struggle with Nationalism)—are known. Thenceforth Khvylovy was subjected to unrelenting persecution and was forced to move gradually from an offensive to a defensive tactic. 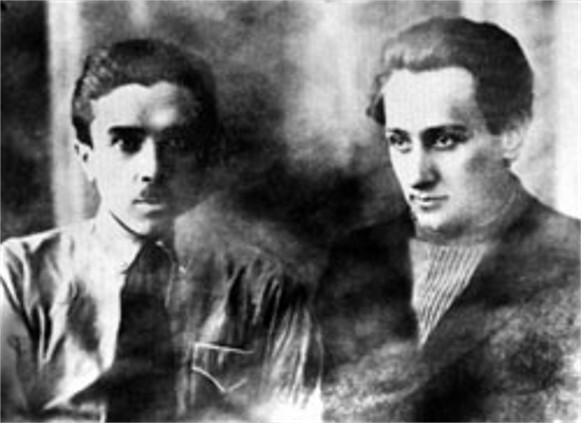 To save Vaplite from forced dissolution, in December 1926 he was compelled to admit his ‘errors,’ and in January 1927 he, Mykhailo Yalovy, and Oles Dosvitnii agreed to expulsion from Vaplite. 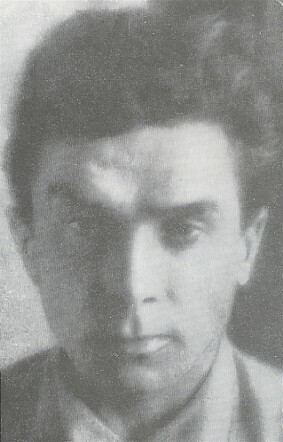 From December 1927 to March 1928 Khvylovy lived in Berlin and Vienna, and according to some accounts in Paris. In January 1928, before returning to Ukraine, he sent an open letter from Vienna to the newspaper Komunist renouncing his slogan ‘Away from Moscow’ and recanting his views. Yet he did not truly surrender: on his initiative an unaffiliated journal, Literaturnyi iarmarok, was established in 1928, and it continued Vaplite's orientation. In it Khvylovy's satirical stories ‘Ivan Ivanovych’ and ‘Revizor’ (The Inspector-general) appeared. 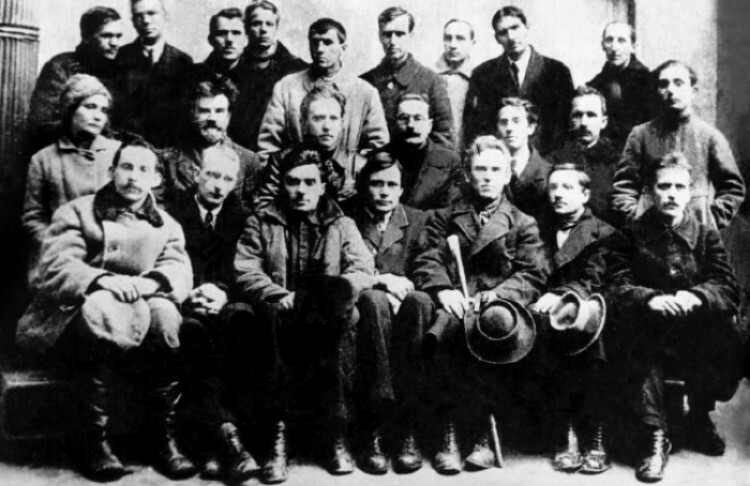 In 1930 Literaturnyi iarmarok ceased publication, and Khvylovy inspired one last organization, the Union of Workshops of the Proletarian Literary Front, or Prolitfront, which published a journal Prolitfront. 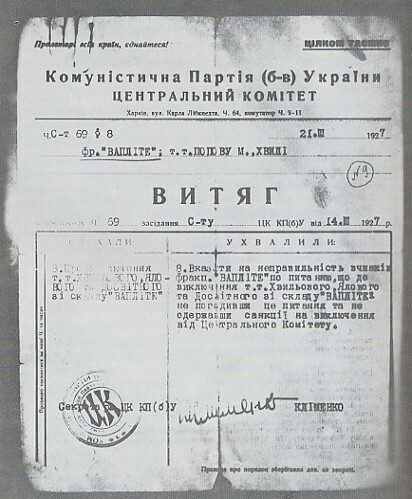 None of his stories, but only his polemical articles refuting the hostile criticism of Nova Generatsiia and the All-Ukrainian Association of Proletarian Writers (VUSPP), appeared in the journal. 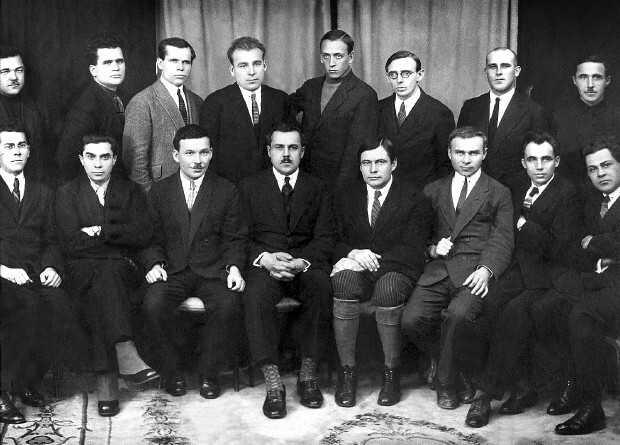 When Prolitfront was disbanded in 1931 and many of its members joined VUSPP, Khvylovy no longer had a journal in which he could express his ideas. His attempts at writing on party-approved themes, as in the stories ‘Maibutni shakhtari’ (The Future Miners), ‘Ostannii den’‘ (The Last Day), and ‘Shchaslyvyi sekretar’ (The Happy Secretary), were dismal failures. Thus, by the early 1930s Khvylovy's every opportunity to live, write, and fight for his ideas was blocked. 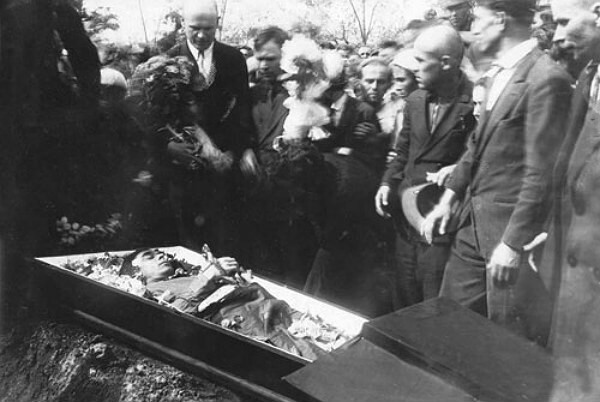 Since he had no other way to protest against Pavel Postyshev's terror and famine that swept Ukraine in 1933 (see Famine-Genocide of 1932–3), he committed suicide. This act became symbolic of his concern for the fate of his nation. 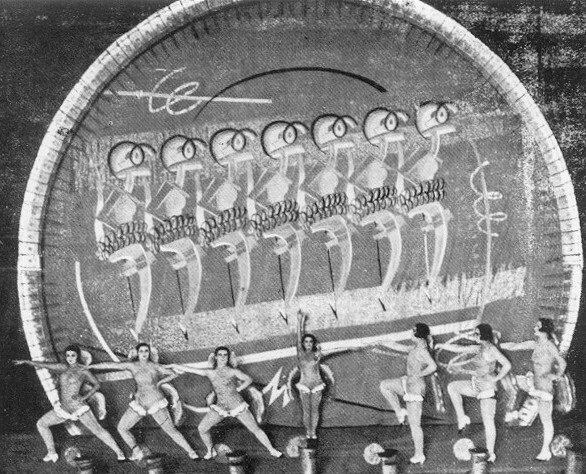 Immediately after his death, Khvylovy's works and even his name were banned from the public domain. Even after the post-Stalin thaw, when many other writers were ‘rehabilitated’ and selected works of some were published, the ban on his works and ideas has been enforced. Khvylovy expressed in his works his own concept of Ukraine's renaissance spawned by the Revolution of 1917. Ukraine could overcome its slavishness and provinciality and ‘catch up to other nations,’ he believed, only by unreservedly breaking ‘away from Moscow’ and orienting itself psychologically and culturally on the progressive aspects of ‘Europe.’ As an alternative to both ‘Moscow’ and ‘Europe’ Khvylovy proposed the romantic idea of an ‘Asiatic renaissance’—an awakening of Asia and other colonial, underdeveloped parts of the world. This renaissance was to begin in Ukraine, situated as it was between the West and the East, and spread to all parts of the world. Like Mykola Zerov, he considered Ukraine's orientation towards ‘psychological Europe’ a necessary precondition for Ukraine to fulfill its messianic role in this renaissance. As a romantic writer and thinker, Khvylovy believed that a ‘vitalized romanticism’ (romantyka vitaizmu) would be the literary style of the first period of the Asiatic renaissance. Khvylovy's historiosophical vision has become known as Khvylovism, and his followers, as Khvylovists. They were physically destroyed during the Stalinist terror or were forced to reconstruct themselves as socialist realists. 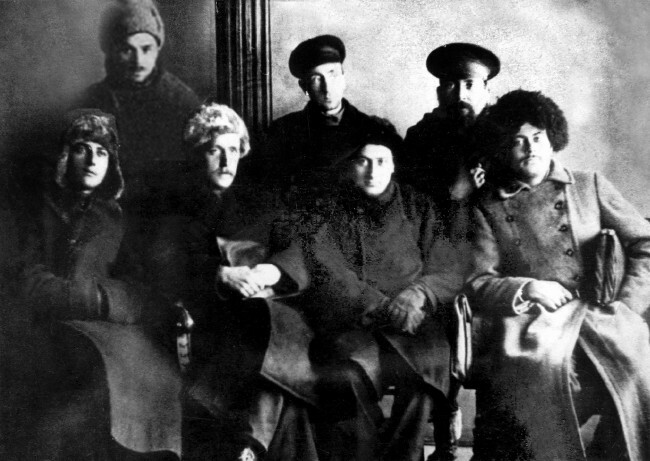 Several of them—Yurii Blokhyn, Petro Holubenko, Hryhory Kostiuk, Yurii Lavrinenko, Arkadii Liubchenko, and Pavlo Petrenko—emigrated during the Second World War to the West, where they popularized and studied Khvylovy's works. A first complete collection of his works has appeared (5 vols, 1978–86) under the editorship of H. Kostiuk. The first full edition of Khvylovy's works (in two volumes) to be published in post-Soviet Ukraine appeared in Kyiv in 1991. A referral to this page is found in 62 entries.